War is a game-changer. It brings pain, destruction and death. It profoundly impacts the collective identity of societies and nations. It changes societies in ways that would have been unthinkable before. It creates new political forms. It changes strategy and tactics. It generates and spreads scientific discoveries that deeply affects geopolitics, the art of war and societies. It changes the balance of power, redraws maps and upsets geopolitics and status quo. Wars should thus be part of the issues and problems with which strategic foresight and warning deals. 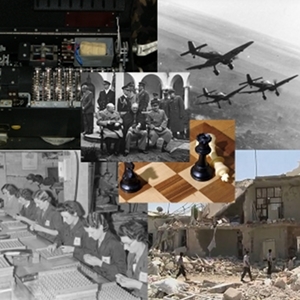 We are not only concerned with the potential escalation towards war, or the risk of war, which belongs directly and obviously to national security, but also with the war itself and its evolution, which should be monitored, while its strategic impact should be continuously assessed and scenarios for the future elaborated. Indeed, most analyses on the future should also pay attention to ongoing wars considering the scope and complexity of their impact. Meanwhile, actors dealing with regions where wars take place, or with actors involved in wars, from humanitarian and development NGOs to private corporations to, obviously, state and quasi-states actors and International Governmental Organizations, should pay attention to the possibility of escalation towards war, to new emerging wars such as those that could involve artificial intelligence-power, as well as to ongoing and ending wars. With time, considering strategic regional and global impact, we started this section with Syria, added Ukraine, then Libya, followed closely the War on The Caliphate, and the rise and still ongoing persistence of the Islamic State, paid attention to the Kurdish issue and then added an in-depth focus on everything related to and involving artificial intelligence, which is addressed in its own section. All wars, according to clients needs and interest must be analysed in-depth, ideally through scenarios with their indicators, and then monitored for warning. British Portex machine (BID/50) on display at Bletchley Park Enigma and Friends exhibit, put together by David White and John Alexander. This work has been released into the public domain by its author, Matt Crypto. This applies worldwide. Rußland.- Sturzkampfbomber Junkers Ju 87 (“Stuka”) im Flug; Eins.Kp. Lw zBV Date 22 December 1943, Sowjetunion, Kursk.-Bundesarchiv, Bild 101I-646-5188-17 / Opitz / CC-BY-SA 3.0. Outworking Unit- the Contribution of Outworkers To the War Effort, England, UK, 1944: Women inspect parts for Screw Machine Products Ltd at Hurley Works in Hurley, Berkshire. They are wearing overalls with the letters ‘CINO’ on them – This photograph was scanned and released by the Imperial War Museum on the IWM Non Commercial Licence. The image was catalogued by the IWM as created for the Ministry of Information, which was dissolved in 1946. Consequently the image and faithful reproductions are considered Crown Copyright, now expired as the photograph was taken prior to 1 June 1957. – This is photograph D 20947 from the collections of the Imperial War Museums. Azaz, Syria during the Syrian civil war. 16 August 2012, Azaz residents pick up after aerial bombings. Bombed out buildings. 3 September 2012. http://www.youtube.com/watch?v=YvOZnXeJs3M&feature=plcp – Voice of America News: Scott Bob report from Azaz, Syria. Public Domain. Checkmate photo by Alan Light – This file is licensed under the Creative Commons Attribution-Share Alike 3.0 Unported license. Yalta Conference, February 1945. Original caption: “Conference of the Big Three at Yalta makes final plans for the defeat of Germany. Here the “Big Three” sit on the patio together, Prime Minister Winston S. Churchill, President Franklin D. Roosevelt, and Premier Josef Stalin. Behind them stand, from the left, Field Marshal Sir Alan Brooke, Fleet Admiral Ernest King, Fleet Admiral William D. Leahy, General of the Army George Marshall, Major General Laurence S. Kuter, General Aleksei Antonov, Vice Admiral Stepan Kucherov, and Admiral of the Fleet Nikolay Kuznetsov. February 1945. (Army) Exact Date Shot Unknown NARA FILE #: 111-SC-260486 WAR & CONFLICT BOOK #: 750″ by DefenseImagery.mil (US Department of Defense) – Public Domain.